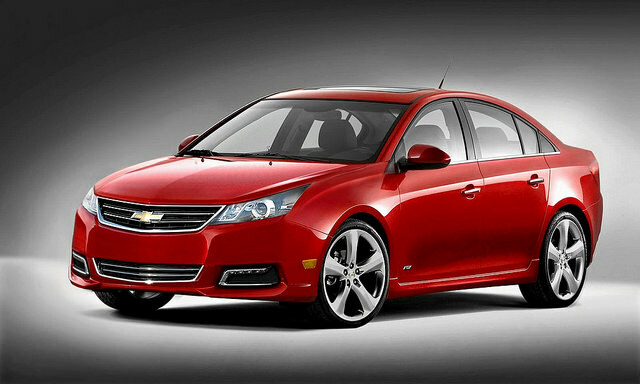 The Chevrolet Cruze is an all around economical car. The price is affordable at an MSRP of $16,995 and the gas mileage is respectable with an EPA estimated 27 mpg city and 46 mpg highway. Under the hood the Cruze has a 153 horsepower turbocharged four-cylinder. Both a six-speed automatic transmission and a six-speed manual are available. This little car has plenty of tech packed into it, with Apple CarPlay, Android Auto Integration, and 4G LTE Wi-Fi built into it. The interior is roomy, with plenty of backseat space for any cargo or passengers you take along for a ride. All in all the Chevrolet Cruze is a great entry in the compact market, with high praise from critics to boost its ego.